Centrum Wiskunde & Informatica: On the convergence rate of grid search for polynomial optimization over the simplex. de Klerk, E, Laurent, M, Sun, Z, & Vera, J.C. (2015). 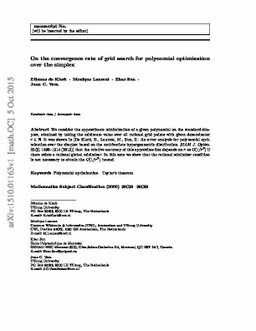 On the convergence rate of grid search for polynomial optimization over the simplex. .